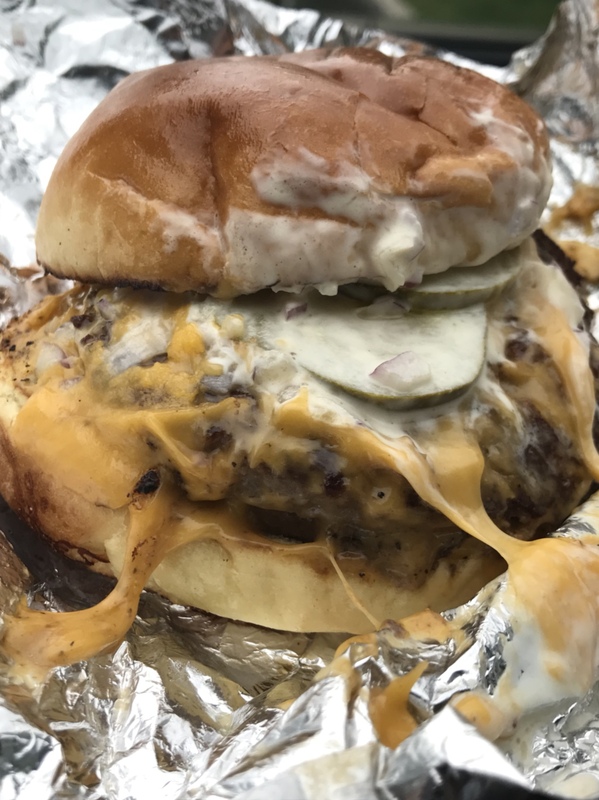 Thread: The Great American Burger in pictures!! Yummy Burgers! 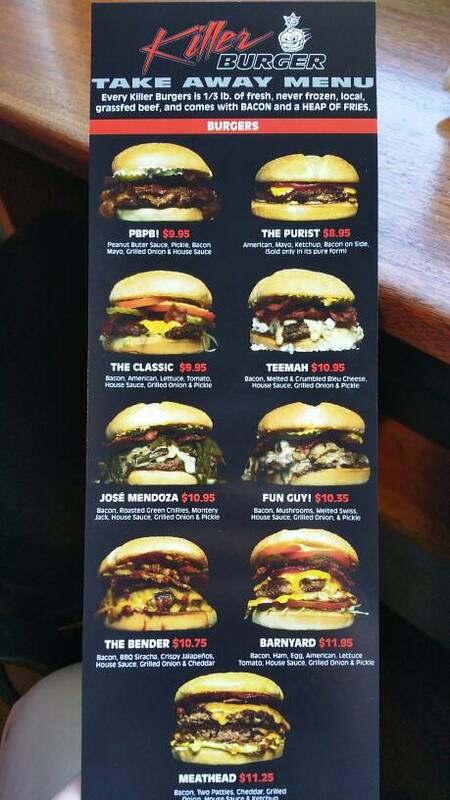 But my most favorite are the ones from Fuddruckers...always fresh and juicy!!! 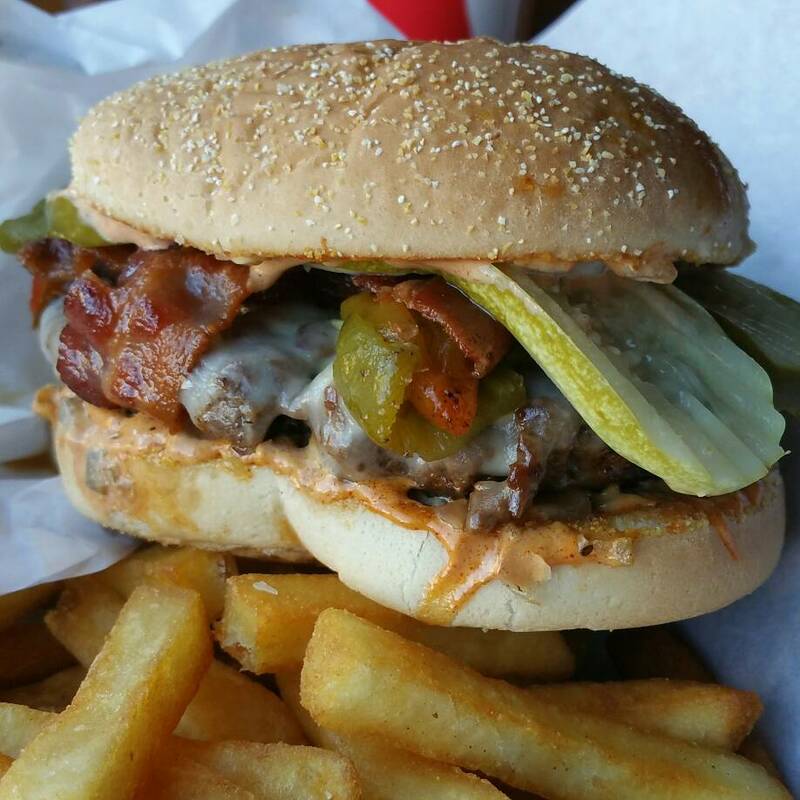 Killer Burger, Eugene, Oregon....local fans of this Portland eaterie begged for an outlet in Eugene, and the owners obliged.....I got the famous José Mendoza - Bacon, KB's Own Roasted Green Chilies, Monterey Jack, Smokey House Sauce, Grilled Onion, & Pickle. it was very good, with just the right about of kick from the peppers. But I wished for more beefy flavor to come out thu all the tasty stuff piled on. Easy to fix that - next time order a double patty! A fine big burger (the "Long Haul", $16) from Hot Mama's Kitchen+Bar at Oakway Center in Eugene, Oregon.....Meat was a bit dry (too lean), but nicely spiced. The grilled mushrooms and both cheddar and Swiss cheese real nice!...not to mention both Canadian bacon and pepper bacon. Went well with the fried egg on top. And you can see the glistening oiled bun...plenty of tater tots - tho done with so little grease, I missed the usual oily mess..
gotta know....if you were not taking a picture of the burger to add to the thread[which is a great addition I might add] would it have been on a paper plate? Or wife would have made sure I didn’t use a real plate! 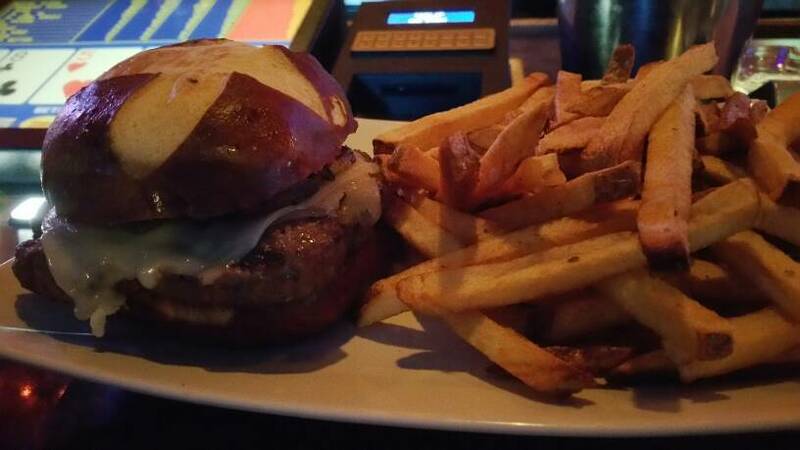 any suggestions in Seattle for a great burger? 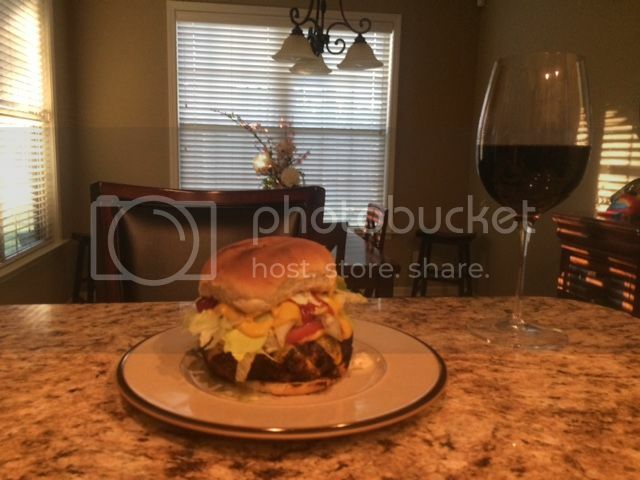 Betone - that is one nice sloppy burger you have there!....do you remember this one I ate? The excellent Bacon Mac 'n' Cheese Burger at Guy Fieri's Kitchen and Bar, The Linq Hotel & Casino, Las Vegas. Place was mobbed but service was fine and this burger and people watching even better...from a few years back.. Remember it well, good time and good food watching the Vegas strip. a bit outside of Seattle, in Tacoma, is the old fashioned drive-in, Frisko Freeze...worth stopping in you are in the neighborhood. 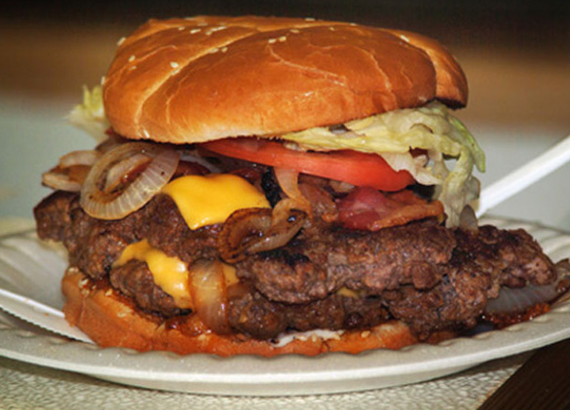 Here is pic of the double cheeseburger I got there back in 2010. Place hasn't changed much since it opened in 1950.... A terrific fast food burger of the messy variety. 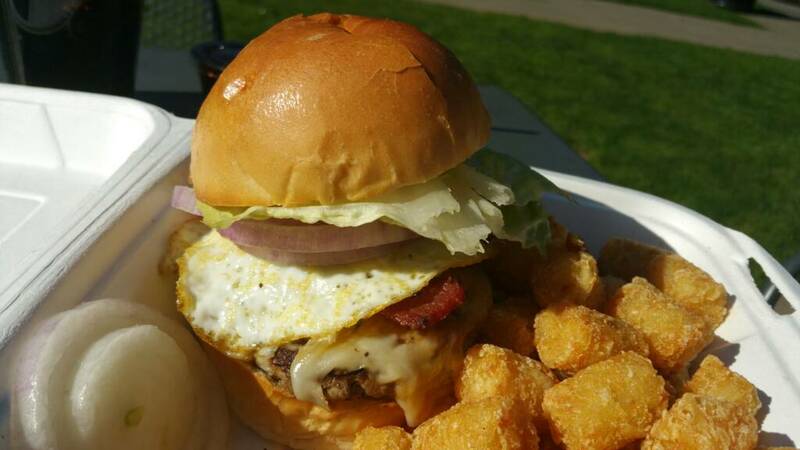 The Brian Burger at Emma Jean's Holland Burger Cafe, Victorville, California.....terrific! Chomp down on this--a hand-patted half-pound beef patty with an ortega green chili pepper and swiss cheese sandwiched in between two pieces of 1-inch thick sourdough bread that was toasted with parmesan cheese and garlic! from a 2012 visit, but this joint goes way back pre-war! Back in Nevada - Nevada, Missouri, that is (pronounced Neh-VAY-duh) eating at the famed White Grill - it's been around since 1938. How's this for a $1.80 order of Suzy Q fries? ..... Burger is fresh + hand patted, onions grilled with it.